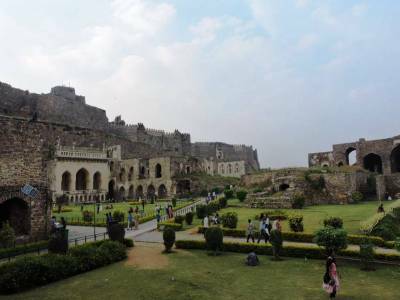 Golconda fort is a famous fort and a citadel which is located in Hyderabad in the state of Telangana. 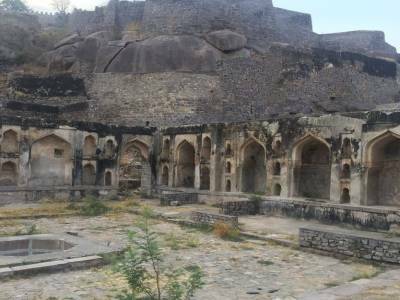 The term Golconda comes from Golla Konda meaning hill of the herdsmen or Gol konda translating to a round hill. It is believed that a shepherd boy had found an idol of a god on the plot after which is the fort was built and hence was named after him. The area surrounding Golconda is widely known as the producer of the most precious gems of the world which includes the Koh-i-Noor diamond, the Hope diamond, the Regent diamond, the Daria-i-Noor and many more. It was also the centre of administration of the Qutub Shahi dynastry during the medieval period spanning about 170 years which left an indelible impression in the Indian history. 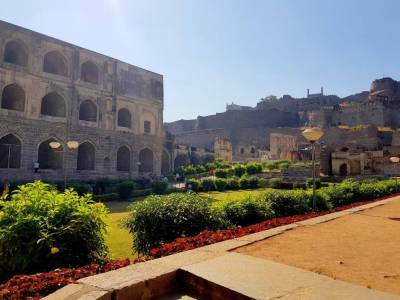 The Golconda fort has a distinctive Kakatiya architecture which was constructed on a 120 meter high granite hill encompassing enormous bastions and battlements. Golconda rose to prominence under the Bahmani rule and was later expanded by the Qutub Shahi emperors. The fort was seized and destructed by the Mughal king Aurangzeb. Golconda was once the heart of diamond businesses and had a thriving market of gems and jewellery items. The astonishing acoustics of the fort can be unearthed by tourists which is why almost everyone who comes to the fort claps. The clap on the portico could be heard almost a kilometer away at the Bala Hisar pavilion. It was so fabricated that the chief of the army could know what the sentinels were doing. 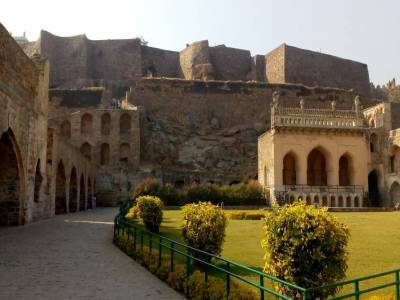 A visit to the splendid fort which is also cited as a World heritage site by the UNESCO is complete without experiencing the mesmerizing light and sound show. The vibrant laser lights together with the historical tales of the marvellous past of the fort are enough to captivate the audience. The breathtaking show describing how the fort stood the testament of time is a must watch for those who visit the Golconda fort. 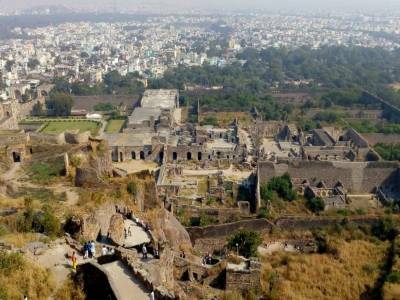 Get quick answers from travelers who visit to Golconda Fort.